At RJS Law: The Law Office of Richard J. Stolcenberg in Wyoming, Michigan, our mission, goal and desire is to help injured people get their lives back. For the families of those left behind by the death of a loved one we work to return some stability to their lives and begin to repair the hole left in their hearts by their loss. People, and their families, matter to us. That is why our law firm specializes in personal injury law- for the injured, not for corporations or insurance companies. With over 35 years of experience in the courtroom and at the negotiation table, we are the law firm of choice for clients and families from Lansing to Lake Michigan who are seeking an attorney who will treat them with respect, empathize with their suffering and aggressively advocate for their right to receive the maximum recovery possible to financially compensate them for their injuries. The death of a loved one in a motor vehicle crash is painful and frightening. It is unexpected and life-changing for those left behind. The surviving spouse asks: "How will I survive and pay my bills? What about the kids?" A Wrongful Death action is there to help, but it is not easy. 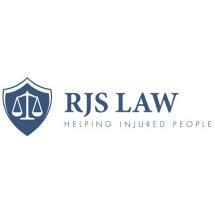 RJS Law takes on the challenges of those clients and provides the answers. Unlike other law firms, RJS Law handles all of the legal work needed to complete the recovery and provide for the future of those affected. RJS Law does BOTH the probate work necessary to bring the claim and the Circuit Court work to enforce the rights of those left behind. There is NO FEE unless you recover. RJS Law provides free initial consultations and flexible office hours. If our clients are hospitalized or bedridden, we go to them so they need not risk worsening their condition by driving to our office.